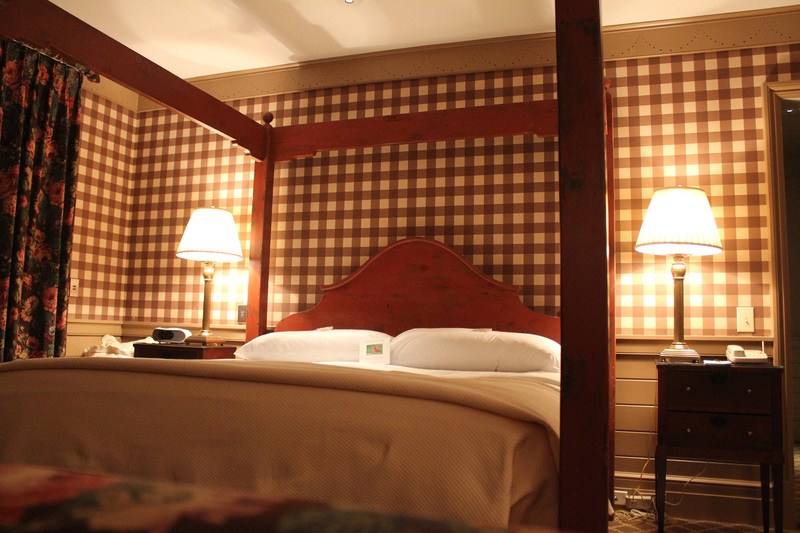 We arrived at Old Edwards Inn, Highlands, North Carolina after dark this evening. Even in the absence of light, the beauty of the grounds at Old Edwards Inn shone through. 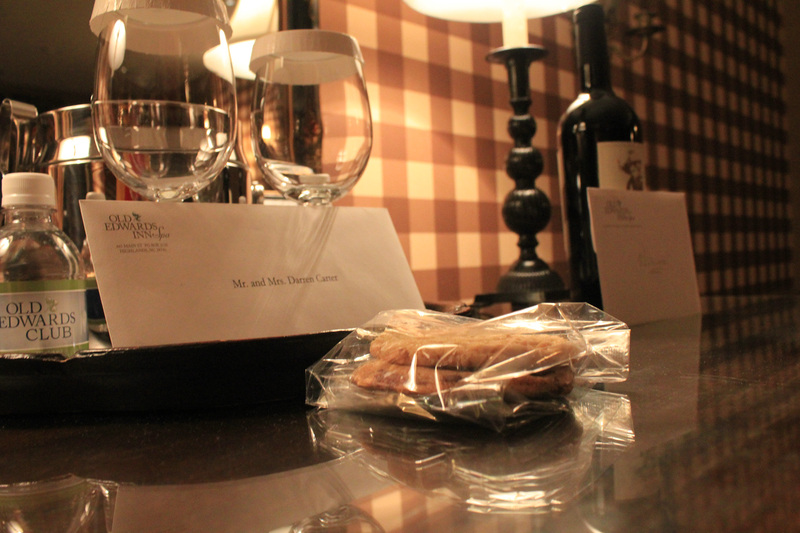 Surrounded with period antiques and European charm, our suite is elegance at its best. My first stop: the shower. After three hours of driving through winding mountains preceded by a day playing on the floor with Athena, I needed a relaxing shower. Darren played with Athena while I indulged. 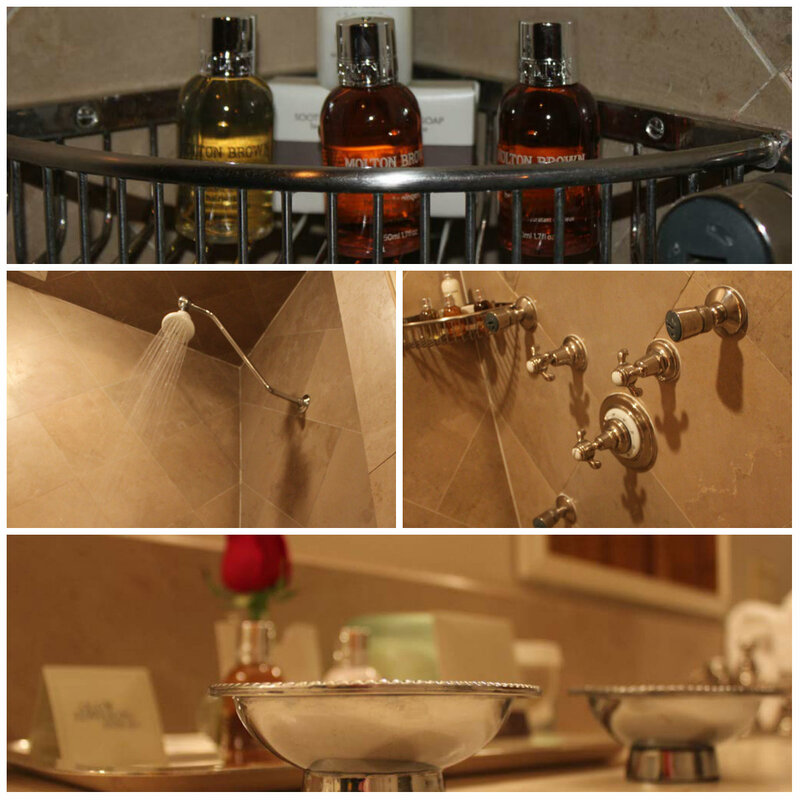 Our spa suite offers a five jet shower, heated floors, and the finest spa soaps, all of which I’d received at other luxury hotels in the past. I did find something so noteworthy that it became the topic of decision for our own house. 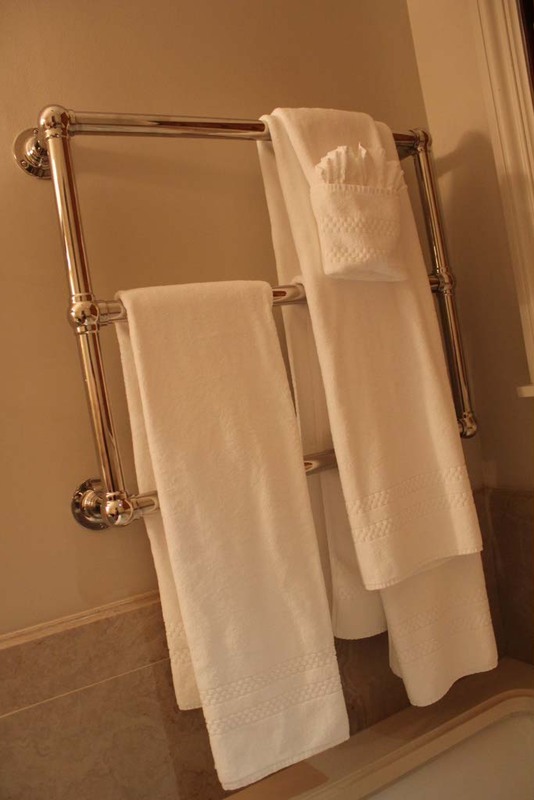 The towels in the bathroom are hung on a silver rung. As I pulled one off to put next to the shower, on a hook placed strategically by the shower door I may add, I felt warmth exuding from the center of the towel. The rungs are heated! I rubbed the warm towel over my arms and placed it on the hook. This was my heaven. For a woman that is always cold, it doesn’t get any more comforting than heated floors, a warm shower, and heated towels. It’s 11:44 pm so we won’t be able to explore the grounds until tomorrow, but if they are any comparison to the rooms, they will be a sight worth seeing. See you around Old Edwards Inn tomorrow. My first adventure is at the spa for a facial. Won’t you join me? I actually saw this hotel in a Travel & Leisure magazine! I just told my husband I wanted to go there for our anniversary. I’m sending him the link now. I’m anxious to hear about your spa experience tomorrow. I could spend days at the spa. Dawn, my wife loves the spa at Old Edwards Inn. There are a few shops that she spends all of her time at when we are there as well. I’ll ask her for the names of them tomorrow and let you know. Lesley, be sure to eat at Madison’s. The chef is award-winning and the duck is succulent. I’ll tell my wife to read your article tomorrow to read about your spa treatment. I’m sure we’ll be back to the Highlands in the next few weeks. I live in South Carolina, but we are always on the lookout for new resorts. I haven’t been to the Highlands and this sounds like the perfect reason to go.